Every year that I’ve been blogging I have wanted to share some of our favorite holiday dishes. However, it seems that I never have time to make them in time and I feel silly posting them after the fact. This year I am trying to make a conscious effort to prepare several of our favorite dishes ahead of time in order to share with you. 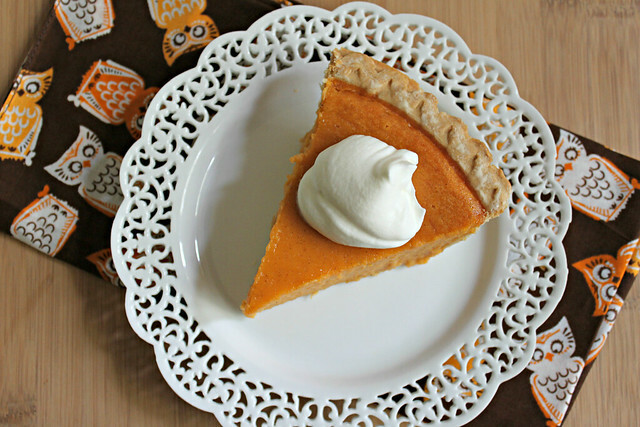 I actually made this sweet potato pie back in September, and while it was a little strange eating sweet potato pie that early, I loved it all the same. 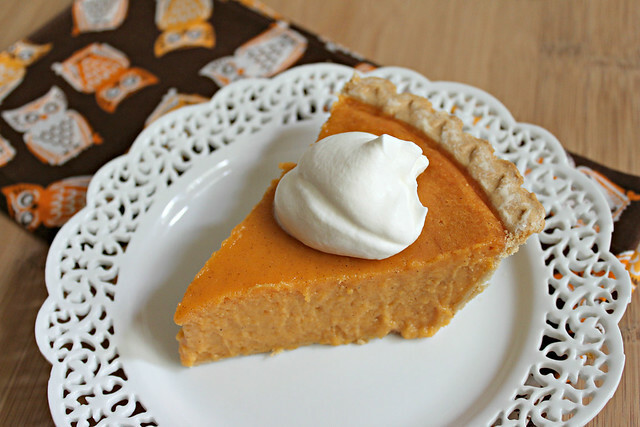 This is the perfect sweet potato pie, easy to make, full of flavor, and so silky & smooth. I mixed the ingredients in my food processor, but a regular mixer works just as well. I also used a pre-made pie crust because I am still searching for a great pie crust recipe--I would love some recommendations! I topped it with some whipped cream (heavy whipping cream beat with a touch of powdered sugar until soft peaks form). My sweet potatoes were a little on the smaller side so I needed three to get 2 cups mashed sweet potatoes. In a large bowl, beat mashed sweet potatoes and cream cheese on medium speed, until smooth. Beat in sugar and half-and-half for approximately 5 minutes or until sugar is dissolved. Add butter, eggs, vanilla extract and cinnamon and beat until well blended. Pour mixture into pie shell. Bake for about 1 hour or until the pie filling is puffed and set around the middle. The center of the pie should still jiggle slightly. Once the pie is done, remove from the oven and cool on a wire rack.